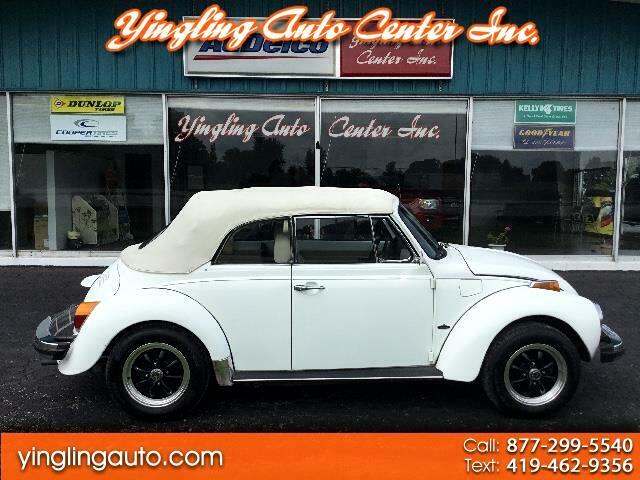 Used 1977 Volkswagen Beetle Convertible 1.6 L FI for Sale in Bellevue OH 44811 Yingling Auto Center Inc.
Engine:1.6 L ELECTRONIC FUEL INJ. Here Is One Very Clean 1977 Vw Beetle Convertible With Only 59219 Miles, 1.6 L Fuel Injected 4 Cyl, 4 Speed Manual, Am/Fm Radio, Custom Wheels, This One Is In Excellent Condition For Its Age And Runs & Drives Great, This Is One You Need To See, Stop By And Check It Out In Our Showroom, Would Make A Great Island Ride!!! Well This One Was Sold, But The Buyer Had To Back Out Do To Unforeseen Health Issues, He Really Wanted It, But We Let Him Out Of The Deal. So Here It Is Again! Message: Thought you might be interested in this 1977 Volkswagen Beetle Convertible.